The first of four screen (art) casts recorded during the painting of Callum’s World. This features Callum’s son Mathew. Initial sketch was done with paper and pencil, scanned into Photoshop CS4 at 600dpi with the rendering done at 300dpi in CMYK. A recent commission I completed for a 50th birthday gift. 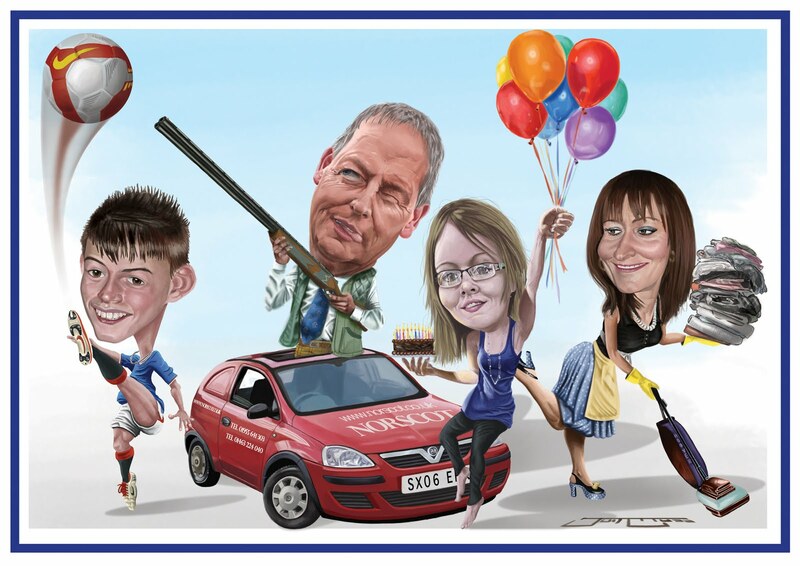 Callum and his family being the subjects of this caricature. A new first for me with this piece was to record my progress using Screen Cast. It was more a test run to get to know the software and definitely not intended to be a ‘How to’. However by recording my painting and then re watching the compiled video I have learnt an awful lot about my technique and have identified lots of areas where I should improve particularly in productivity. Feel free to watch the vids and comment. will be upload soon. This painting was commissioned by someone working in Afghanistan and he wanted to immortalise his time over there. 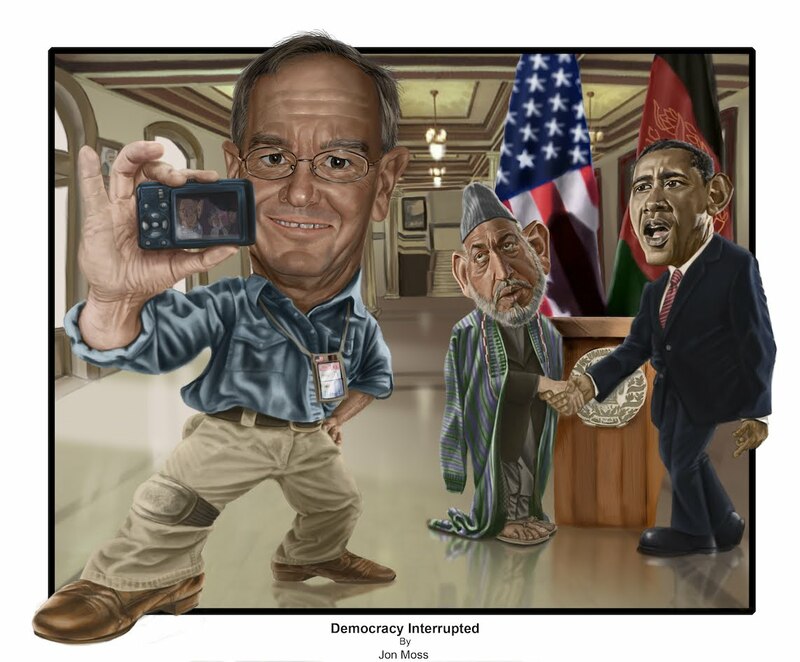 His request coincided perfectly with the shambles that was the elections and the announcement of Karzai’s eventual and somewhat unconstitutional (perhaps?) victory and re-election to President. Hurrah for democracy! Though thats all in the past now, quickly forgotten about and life goes on.